Barnes & Noble of Newburgh, NY hosted a bookfair on Thursday, December 10, 2009 with a percentage of every sale donated to the Open Space Program. 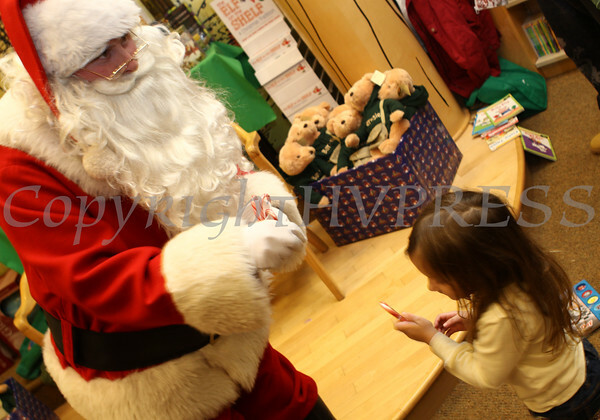 Santa hands out candy canes during a visit to the Barnes & Noble of Newburgh, NY which hosted a bookfair on Thursday, December 10, 2009 with a percentage of every sale donated to the Open Space Program. Hudson Valley Press/CHUCK STEWART, JR.